African Americans in Alexandria, Virginia had a long history of entrepreneurial skills. Prior to the passing of the Social Security Act in 1935, people did not have retirement pensions unless they worked for the State or Federal government. The government employed only a few African Americans prior to desegregation. Many African Americans became entrepreneurs to survive. Many of them were skilled artisans and others opened up businesses to support the many demands of the Black communities. 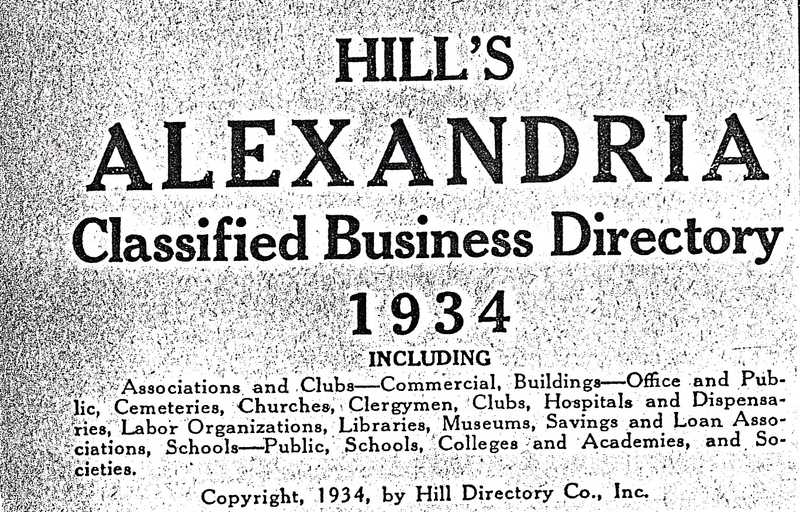 The 1934 Businesses Directory listed African American businesses and occupations. The listing is not complete because some African Americans did not report their business to the City Directory. Listed are the individuals and the names of those African American businesses that were reported. This entry was posted in Businesses, Entrepreneurs and tagged Alexandria VA, Black Businesses 1934. Bookmark the permalink.